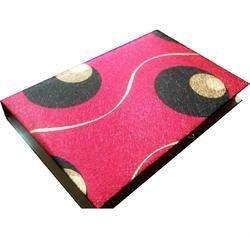 We are leading manufacturer of File Boxes. Ginni Gopal Boards Pvt. Ltd.
Crown's management system for hard copy documents, files and cartons provides convenient access to information stored within your archive. It also offers the security and peace of mind of knowing that all your information is held safely and can be retrieved as you need it. This is screwpain file and gift box. And this is made by screwpain leafs and then saura tribal art painted by hand , this is poure organic nd totaly hand made handicraft products. We are one of the leading manufacturers of file boxes which comes with various usage. Our Open-Top file boxes can do the job beautifully. Each box feature integrated handles which make them easy to carry. - Size- 9" Width x 11.5" Depth x 17"Height. - Media Size Supported: Letter, Legal, Heavy Duty. It's Steel Clip With Button Pati. Lock Paper With Pushing The Button. Also We Print The Box File As Per U Need (your Compny Name And Logo). Attractive Discounts on every purchase. Dealers can also directly contact us. Usage: files, documents, personal artefacts. Archive Box , Storage Box, Office Box usefull for office use and for packing and moving. 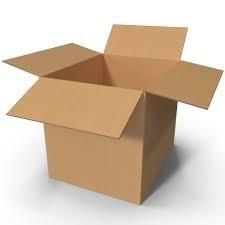 Owing to our deep industry understanding, we are able to provide our clients a finest quality array of Box Files. These products are made from high quality components. Being a client-oriented enterprise; we are engrossed in the arena of providing to our clients an exceptional consignment of Wooden File Box. Made in tune with the industry defined guidelines and quality norms, these offered boxes are broadly recommended. More to this, we present these in a range of provisions at affordable rates. Being a leading enterprise of this industry, we are offering a huge range of Acrylic Hanging File Box. Our firm is a trusted name in the area of providing a vast series of Laminated Box File. Furthermore, we offer these products in a diversity of patterns and sizes as per the demands of customers. with long years of experience in the industry, we are able to manufacture our extensive array of high quality index files. These box files are made from best quality materials and produced in very reliable approach. Our box files are highly in demand due to their quality materials and everlasting durability. - Stable lever arch files/ box files that stay upright when full of paper. - Manufactured from 100% recycled board. Shree Makveen Engineers Pvt. Ltd.